The forums are student led interactive workshops that have plenty of activities to engage participants, provide an opportunity for them to share their ideas and knowledge as well as learn how to successfully carry out the water theme and future themes. Green-Schools students currently on the Water programme are invited to register to take part in the Water Forums. They are great opportunity for Green-Schools on all stages of the water theme to get some fresh ideas and inspiration. They provide useful tips for schools looking to send in a water application for March 2019 and ideas to kick start a lagging programme. 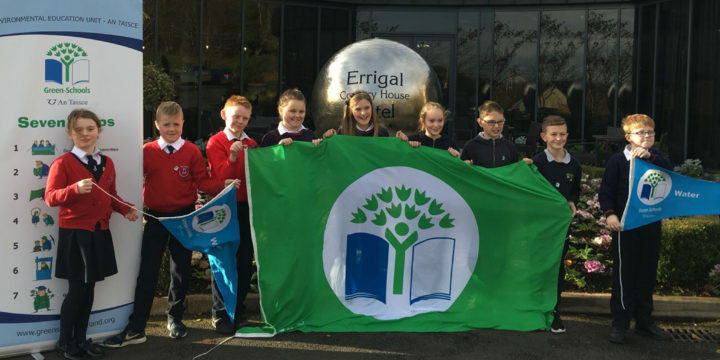 Schools that attend will receive new resources: a USB (4gb) with useful information, water saving devices and will be able to avail of a water saving demonstration pack for display during action days. A model school will showcase how they successfully achieved their Green Flag for their work on the Water theme. There will be fun and games on the day. They help and encourage students to take ownership of their Green-Schools programme. 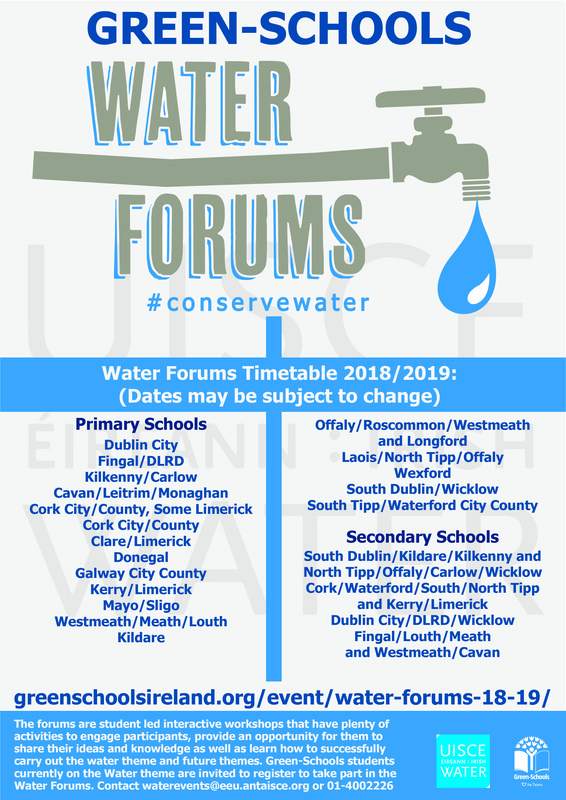 An Taisce Green-Schools Officers will be available on the day to answer any questions you have about your ‘Water’ programme and Green-Schools in general. South Tipp, Waterford City County. South Dublin, Kildare, Kilkenny, North Tipp, Offaly, Carlow, Wicklow. Cork, Waterford, South/North Tipp, Kerry, Limerick. Fingal, Louth, Meath, Westmeath, Cavan.